For the last two days Adnate, from Melbourne’s AWOL crew has been up in the heavens painting on the rear wall of McDonald House that faces in Hosier Lane. Adnate will be up there painting for a few more days to come. McDonald House (no relation to fat food empire) is a seven story building built in the Chicagoesque style. It was originally built in 1921 as warehouse but has since been converted to offices. The wall overlooking the lane has not been painted before because it has been too high and inaccessible. The current painting was made possible because the cement rendering on the wall of the building was being repaired and the scaffold had to be installed. 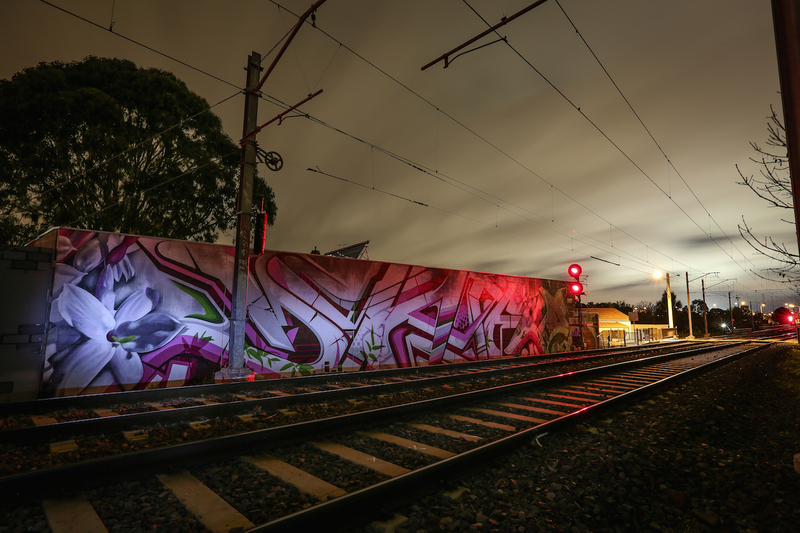 Adnate’s giant piece was commissioned by local community association Hosier Inc. and funded by the City of Melbourne’s annual arts grant program. Hosier Inc. say that is the first instalment in a series of major artworks for the lane. Down below in the lane the tourists come, take photos and go. At the Flinders Street corner a notice that the Ink & Clog, a crew from Singapore has been painting. (I’ve had a long interest in Singapore Graffiti). Near the Flinders Lane end two guys, both named Dave, are sitting on stacks of milk crates watching Adnate paint. 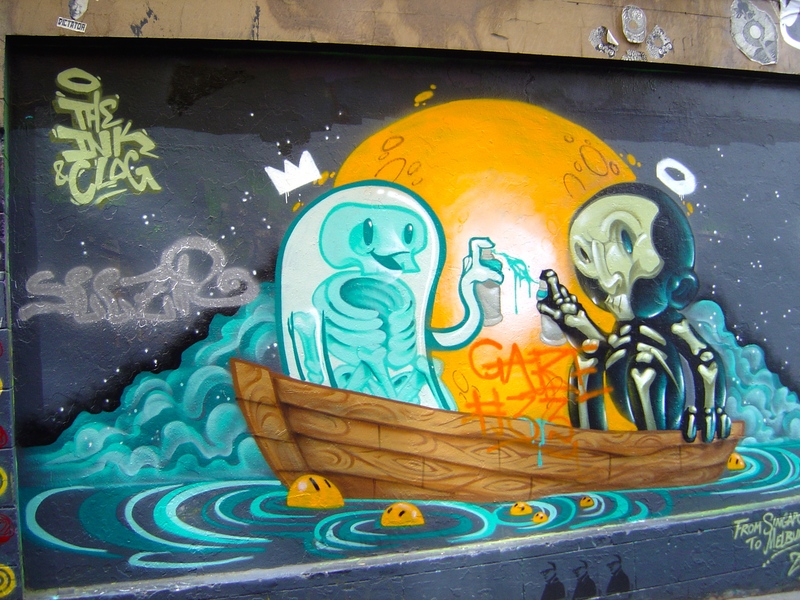 One of the Dave’s is better known as Phoenix, whose paste-ups can be seen in Flinders Lane and other places around Melbourne. 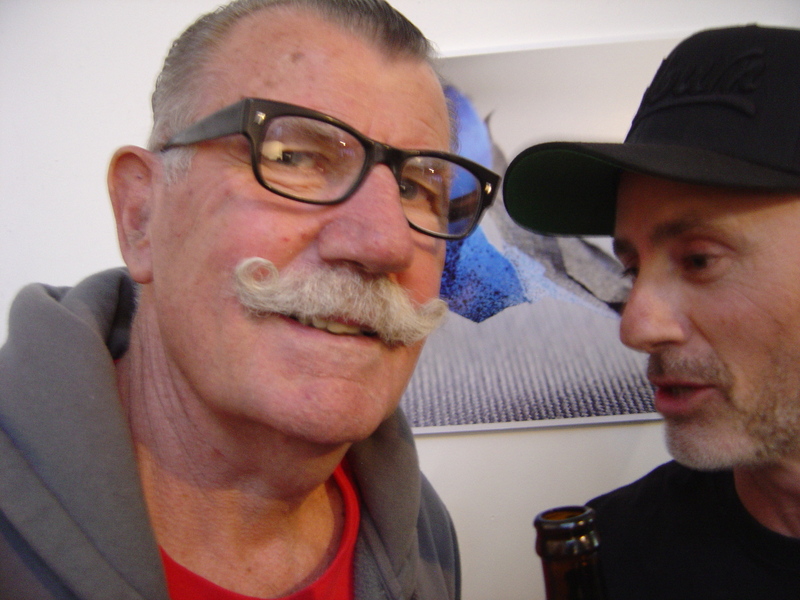 The other Dave is David Russell who is photographs Melbourne’s street art scene and whose photographs are regularly seen on Invurt. 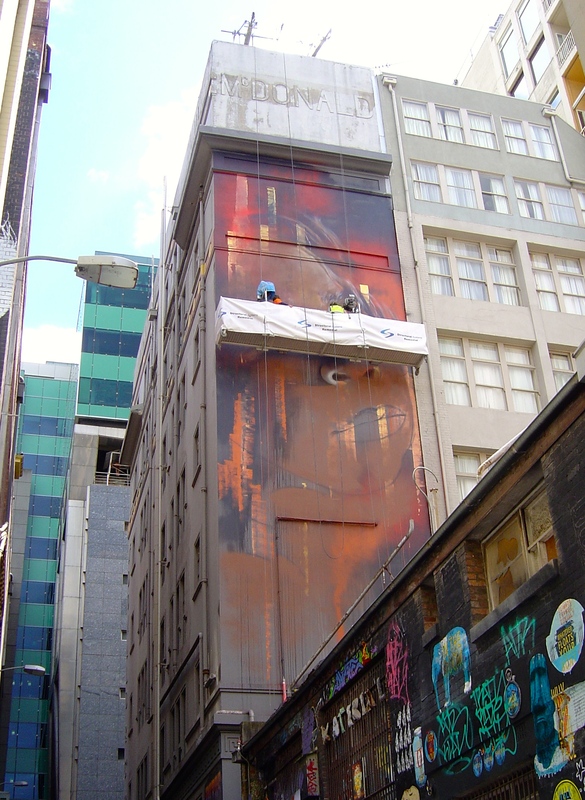 The location was a difficult one to photograph and David Russell was preparing to go up on top of various buildings around the lane to get photographs of Adnate’s progress. Melbourne is now following the example of many European and South American street art of very large legal murals to bring art and colour to a giant run-down and drab wall. 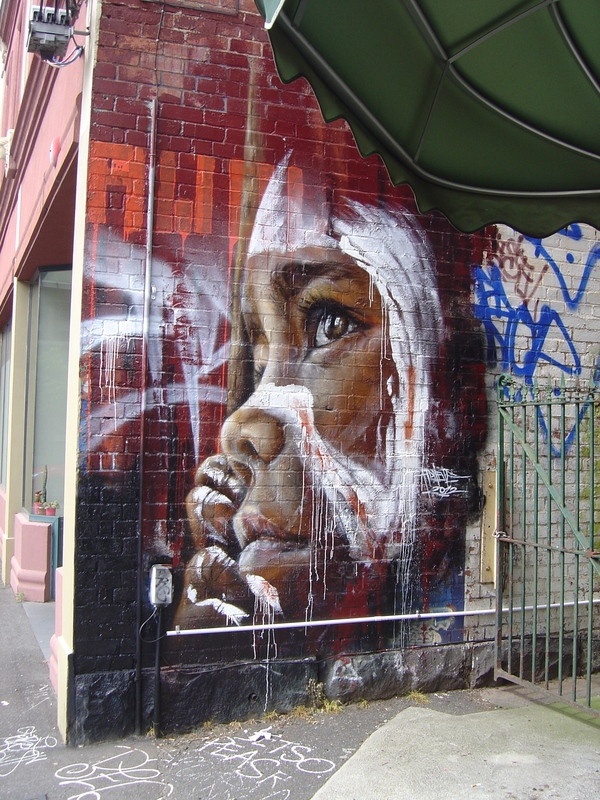 I can’t tell how Adnate’s mural will look when it is finished, hopefully it will be as good as the face that he did in an earlier piece with the rest of the AWOL crew in Fitzroy.